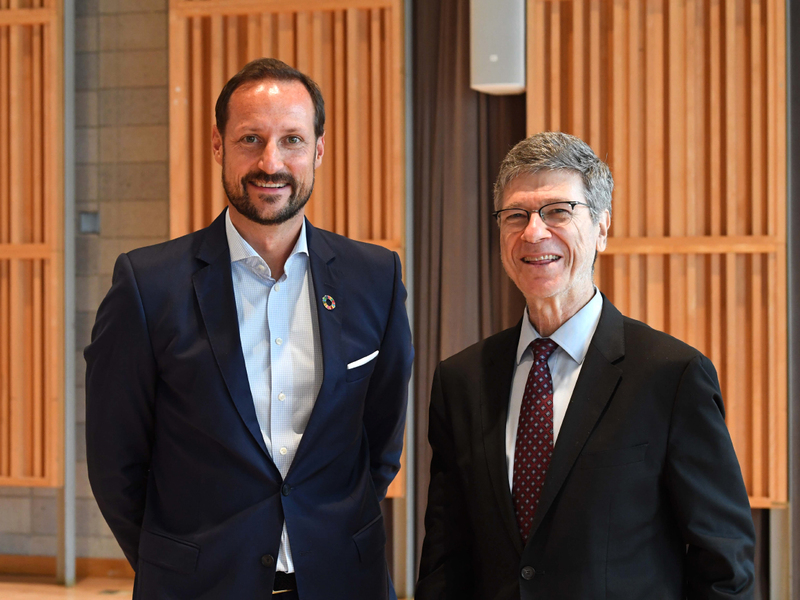 The challenges we face are made by humans, and they can be solved by humans, The Crown Prince said today. Have faith in what you can achieve, and even more importantly, what you can do together with others. 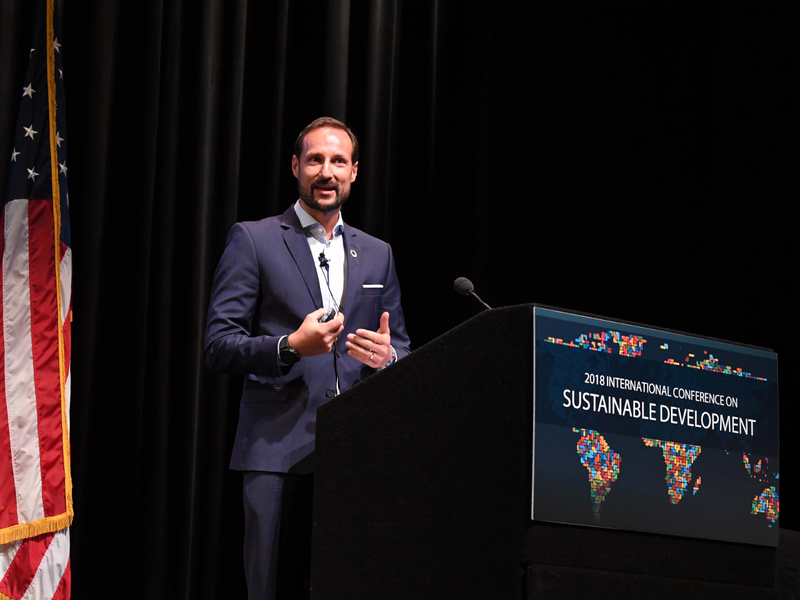 “Development and Human Progress: Why I believe in a brighter future” was the title of His Royal Highness Crown Prince Haakon’s lecture at the International Conference on Sustainable Development at Columbia University in New York City. First he took the audience back in time for a brief perspective on everything humankind has achieved up to now, which is a great deal. Despite the impression given by the media, the world has made enormous advances in key areas such as poverty, education, health and life expectancy. But we are facing great challenges as well. Important examples include climate change, pollution of the oceans, and a steadily growing need for energy. So what is it that makes the Crown Prince so optimistic about the future? He explained his outlook in terms of three important aspects: innovation, leadership and hard work. Technological innovation is driving change, and change is happening faster than predicted. For example, in the 1970s, solar power was 250 times more expensive than it is today. Today, some solar farms can produce electricity at a lower price per kWh than the cost of newly built coal-fired power plants, which has already led to the cancellation of some plans to build polluting coal-fired power plants. 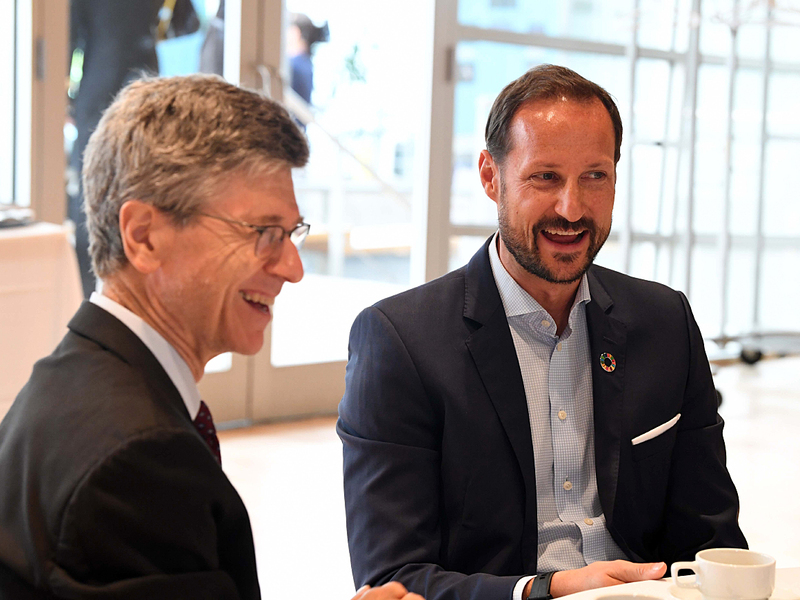 Crown Prince Haakon has met many people on his travels in Norway and around the world – people who take a leadership role and take action to improve their own existence and the societies in which they live. People who see something that is not working and take steps to fix it. Their stories are inspiring, and the Crown Prince shared some of them with his audience today. The final point on his list was “hard work”, because the changes that are needed will not happen on their own. We must identify the problems and find the right solutions. Technology alone is not enough to solve problems; there have to be people who are willing and able to develop new solutions and implement them. 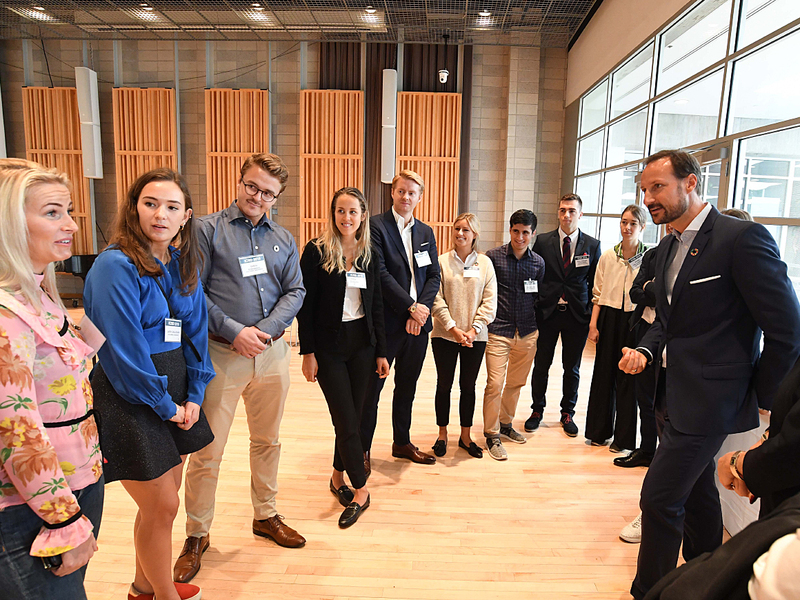 “The challenges we face are made by humans, and they can be solved by humans,” said the Crown Prince, who concluded by encouraging the audience to keep in mind all that has been achieved, and to have faith in what each individual, alone and together with others, can achieve. 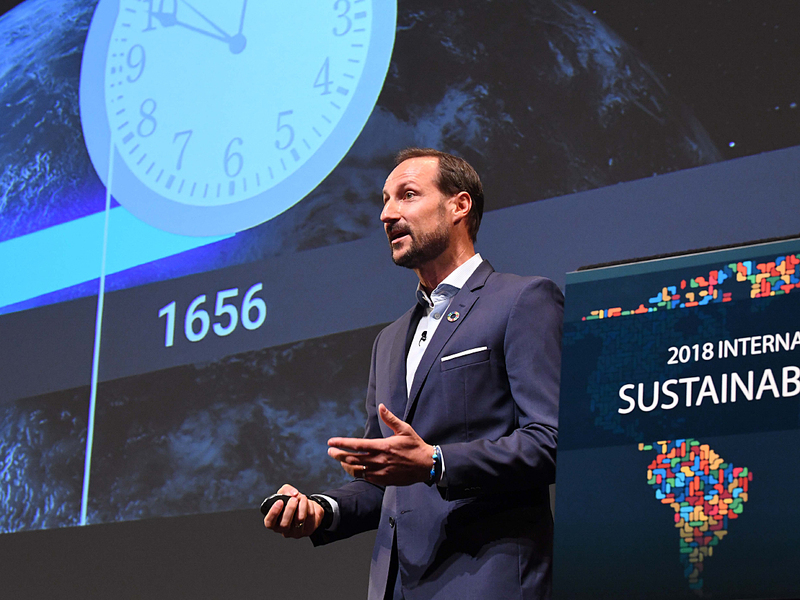 The International Conference on Sustainable Development brings together more than a thousand participants from over 60 countries to discuss the UN Sustainable Development Goals. The participants come from a wide range of sectors: academia, the UN, organisations, the private sector and the political arena. 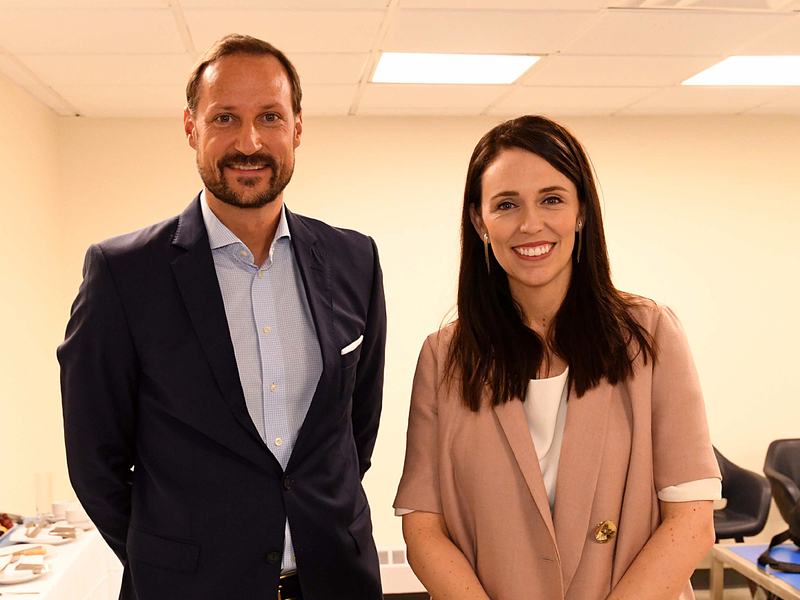 The two other key note speekers at the conference was New Zealand's Prime Minister Ms Jacinda Ardern and the President of Costa Rica, Mr Carlos Alvarado. 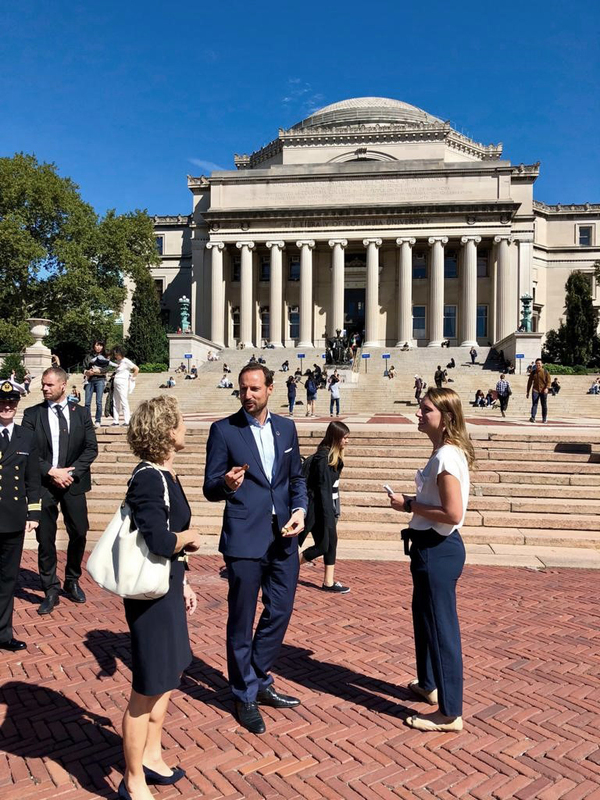 The conference is part of the Columbia World Leaders Forum, which is held each year during the United Nations high-level week. 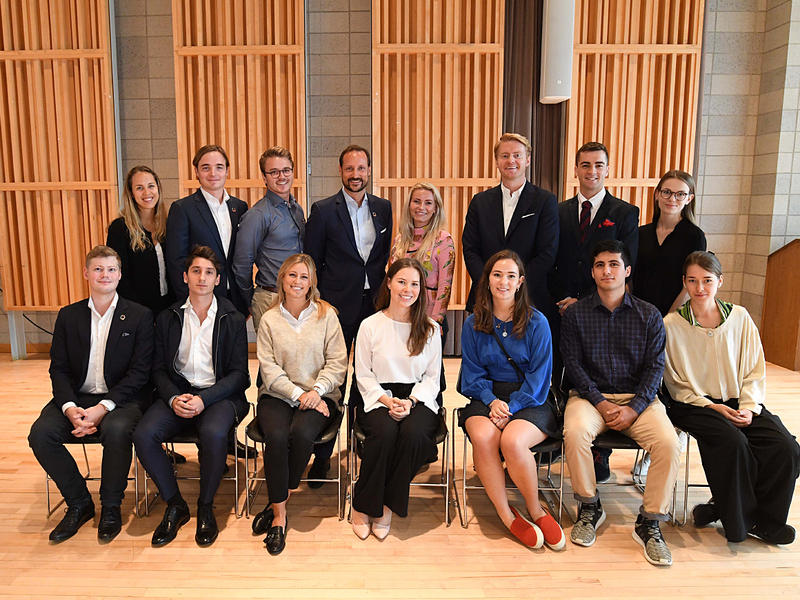 The Crown Prince spoke as part of the Kapuscinski Development Lectures.